Whether you are a fan of music or not, you must’ve watched or seen music videos of Vevo on YouTube. Vevo is an American multinational video hosting service found on December 8, 2009 as a joint venture between two of the big three companies, Universal Music Group(UMG) and Sony Music Entertainment(SME). Vevo hosts music videos from both Universal Music Group and Sony Music Entertainment. So Vevo is a good source to look for the latest music. It’s got a YouTube Vevo channel where you can check for the newly released music from artists from Universal Music Group, Sony Music Entertainment and Warner Music Group. If you want to download music MP3 from Vevo, here’s how you can do it. Directly downloading the music video would’ve been easier but a lot of people perfer to download the MP3 version. If you want to download MP3 vevo does’t have this option for you currently So you are going to do some extra work to perform Vevo music MP3 downloads. So in this post you would find instructions as to how to perform Vevo MP3 downloads on YouTube. There are tons of online video downloading programs you can use to download Vevo music from YouTube. But most of them can only download videos or audios provided by YouTube and currently YouTube doesn’t use MP3 on its website. But you can download the video or audio first and then convert it into MP3, which is not that complicated as you think it is. 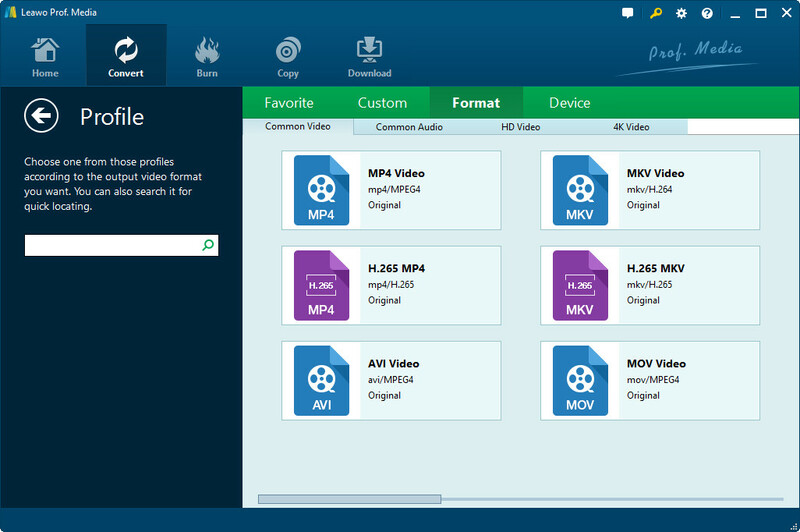 All you need is a third-party video downloading program and an audio converter. I would recommend to you Leawo Video Downloader, it’s a practical online video downloading tool capable of downloading videos from all popular video sharing websites with high speed. To make things easier for people who are not familiar with this kind of software, there would be instructions for using this kind of video downloader to perform Vevo MP3 downloads. First go download Leawo Video Downloader on its official site or by clicking the Download button above and then install it on your computer. You should instantly notice that it’s integrated into a software bundle named Prof. Media. Fire up Prof. Media and you should see several tabs on the interface, click on Video Downloader to launch Leawo Video Downloader. By clicking on Video Downloader tab, you would activate the built-in browser and it would go to YouTube.com automatically. You can go to Vevo channel or directly search the song you’d like to download. Or if you already have the link of the Vevo video, just paste it on the address bar on the top of the browser to open it. 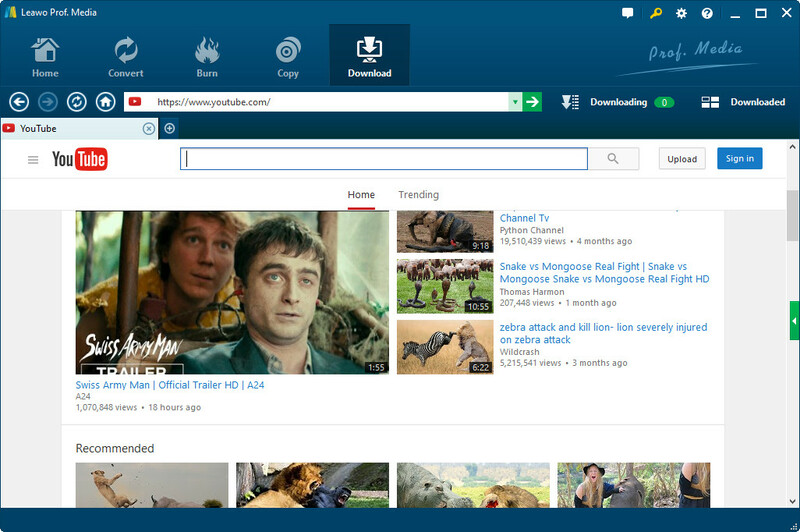 When you open the page with the Vevo video you want to download, this online video downloader would detect all the downloadable video sources on the page, all the downloadable sources would be listed on the sidebar on the right hand side of the browsers. If you can’t see the sidebar, click the green button with a triangle on it on the right side to call it out. All the related information about the video like resolution, size and format would be shown on the sidebar, just pick the one with the ideal parameters and click the Download button on the file to start downloading it. All the downloading tasks would be listed under “Downloading” tab and the finished tasks are under “Downloaded” tab. You can sort the downloaded Vevo videos by Time, Size, Name and Length and play back the videos with the built-in video player. After having all the needed Vevo videos downloaded to your computer, now you can start to process them. All you need is a video converter that can convert the Vevo video to MP3. 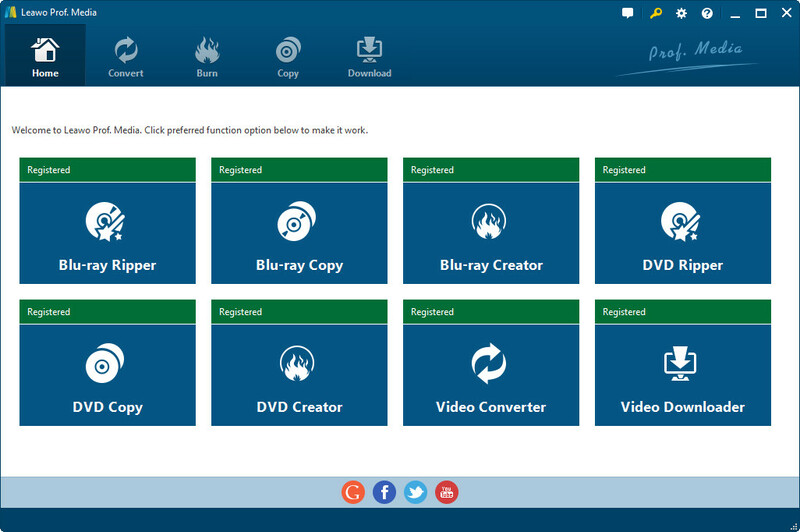 Here I’d like to recommend to you Leawo Video Converter, it’s a powerful video and audio converter that’s capapble of converting videos and audios between all popular formats. Below are two buttons for this Vevo to Mp3 converter downloads. Step 1: First download and install the program on your computer. Fire it up and you should see that it’s integrated into a software bundle named Prof. Media. 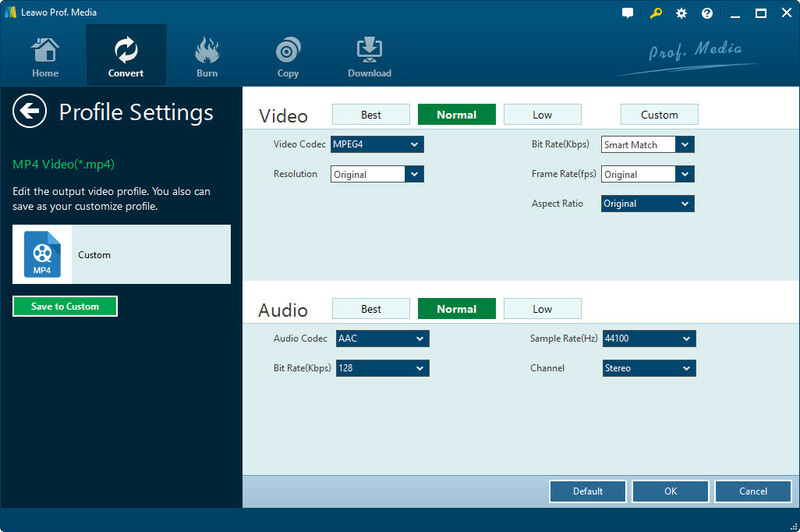 Open it and there would be different modules on the interface, click Video Converter tab to launch Leawo Video Converter. On the interface, click “Add Video” button on the top left to import the Vevo video you downloaded previously to the program. Step 2: Click the button on the left-hand side of the big green “Convert” button and you’ll see a drop-down menu. Click “Change” on it to enter the format selecting panel. You can find MP3 under Format>Common Audio. Step 3: To further adjust the parameters of the MP3 format, click the “Edit” on the previously mentioned drop-down menu to enter the parameter setting panel. You can adjust the Audio Codec, Bit Rate, Sample Rate and Channel. Step 4: When you finish setting up, go back to the main interface and click the “Convert” button, a sidebar would show up on the left of the interface, set the output directory for the output MP3 file and click the “Convert” button to begin the conversion. With the combination of the two programs you can easily perform Vevo MP3 downloads.